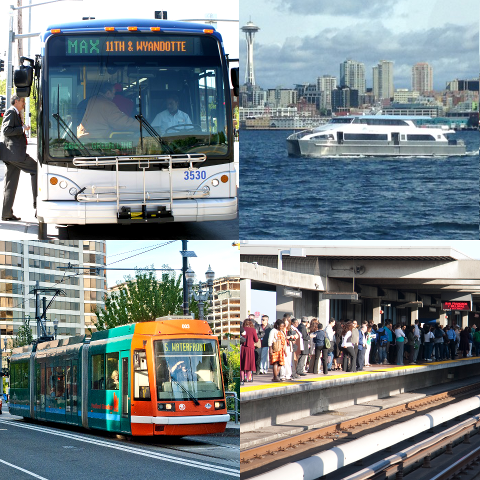 The Federal Transit Administration issued $1.36 billion in federal funding allocations through its Capital Investment Grants or CIG Program on April 9 to 16 new and existing transit projects. FTA said in a statement that it is allocating approximately $424.8 million in Fiscal Year 2018 CIG funding to two projects that have existing construction grant agreements along with five new projects – subject to further review and approval – that are nearing readiness for consideration to receive such an agreement. The First Coast Flyer Southwest Corridor Bus Rapid Transit project in Jacksonville, FL, which gets $16.6 million in FY 2018 CIG funds. The Virginia Street Corridor BRT project in Reno, NV, which gets $40.4 million in FY 2018 CIG funds. The River Corridor/Blue Line BRT project in Albany, NY, which gets $26.9 million in FY 2018 CIG funds. The Division Transit BRT project in Portland, OR, which gets $87.4 million in FY 2018 CIG funds. The Central City Line BRT project in Spokane, WA, $53.4 million in FY 2018 CIG funds. The agency added that it is also allocating $936 million in FY 2019 CIG funds to nine projects with existing construction grant agreements. Altogether, including this round of funding, the FTA noted that since January 20, 2017, it has allocated monies for 22 new projects via the CIG program, totaling approximately $5.06 billion in funding commitments.